Epiphone’s Most Affordable Les Paul Ever! Available in Ebony, Heritage Cherry Sunburst, Pacific Blue, Sunset Yellow, Turquoise, and Vintage Sunburst. 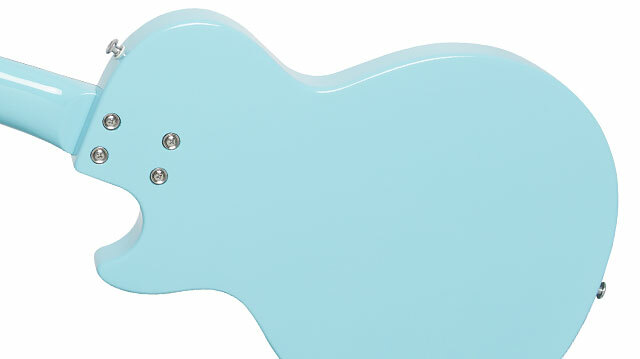 Since the beginning of rock ‘n’ roll, the Les Paul has been considered the ultimate electric guitar and Epiphone’s new Les Paul SL™ continues that long tradition of innovation with a lightweight Poplar body that’s slimmer than a vintage Les Paul making it easy to hold for new players. The bolt-on Mahogany neck has a traditional 24.75” scale with an easy-to-play SlimTaper-D profile. 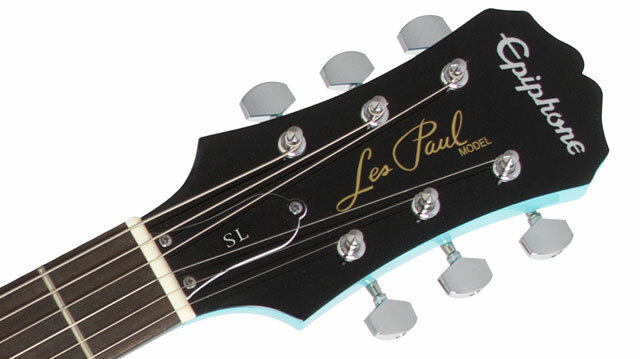 Even the headstock of the Les Paul SL™ has the look of a classic Les Paul with Epiphone’s trademark “Clipped Ear” design, the same “Bell-Shaped” truss rod cover seen vintage models, and 60s era Epiphone logo and a "2017" Edition logo on the back of the headstock. The Les Paul SL™ is powered by Epiphone single coil Ceramic pickups with a 650SCR™ in the neck position and a slightly overwound 700SCT™ in the bridge position for solos. Mr. Les Paul, the inspiration for the Les Paul guitar, was especially fond of single coil pickups for their tonal versatility when playing rhythm and solos. 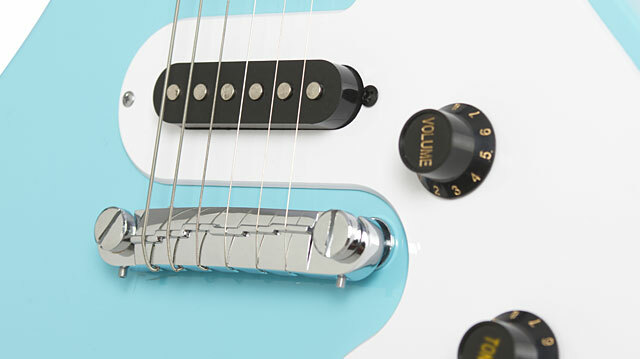 Ceramic pickups are designed to provide a tight low-end response with both a smooth mid-range and a slightly more pronounced top end tone. That’s why ceramic magnets have been a favorite of metal and hard rock guitarists for decades. 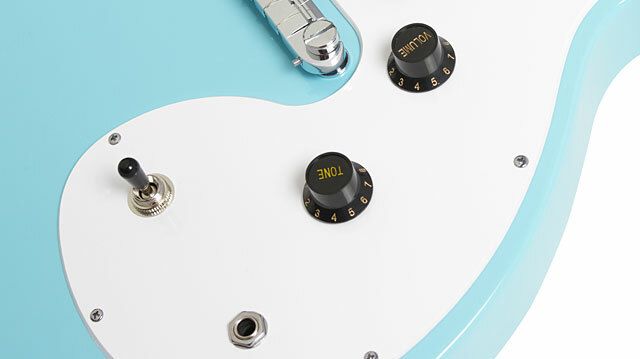 Controls include a master volume and tone with traditional Black ABS “Top Hat” knobs. The Les Paul SL™ features Epiphone-designed hardware with a "Wrap Around" Stopbar Bridge Combo and Premium Covered 14:1 ratio heads for fast and accurate tuning. An optional hard case is also available. Like all Epiphones, the new 2017 Edition Les Paul Studio SL™ comes with Epiphone’s world famous Limited Lifetime Guarantee and Gibson 365/24/7 Customer Service. Visit your favorite Authorized Epiphone Dealer or visit Epiphone.com to find a dealer near you and make your own history with an Epiphone Les Paul Studio SL™.